The newly elected Pope Francis, Jorge Mario Bergoglio, is linked to the mysterious ecumenical group Comunione e Liberazione. 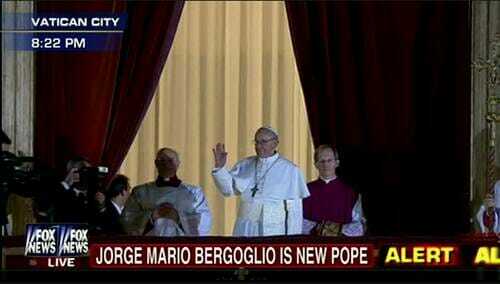 Bergoglio is an accomplished theologian who distanced himself from liberation theology early in his career. He is thought to be close to Comunione e Liberazione, a conservative lay movement. Comunione e Liberazione grew out of the educational and catechetical methods of Don Luigi Giussani, who founded the movement. Regarded by many Italians during its early history to be a Catholic integralist and anti-Marxist political organization, today CL has an international presence beyond Italy and has shifted its energy away from partisan politics and towards cultural, charitable and educational works. If Pope Francis is still an anti-Marxist who rejects liberation theology the American left will absolutely hate him.